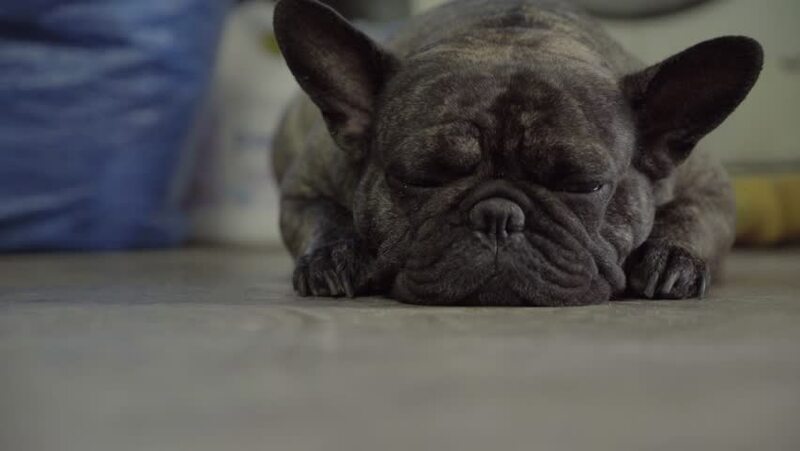 4k Black french bulldog sleeping on the floor. 4k00:23Portrait of a little terrier. hd00:28Adult gray cat as a kitten playing with bird toy on white carpet in slow motion. Cute cat having fun with an interactive soft toy that replicates natural bird sounds.